2 Comments on Are Your Habits Keeping You Sick? For the last year, I have been having cognitive behavioural therapy in order to address the anxiety and fear I was left with after breaking free from my migraines. And what I have learned recently through the work I have been doing is that there are certain habits that I created whilst I was sick, that I am struggling now to let go of. They no longer serve me and are keeping me sick and experiencing some headaches, so if I want to become completely free then I have to let these go. I’m not going to lie, going through this process has been seriously challenging. These habits are so ingrained within me after over five years of suffering that they have become second nature to me. So today I wanted to share what I am working on letting go of in hope that it might be able to help you on your own health journey to headache freedom. When you have been sick for so long it becomes part of who you are. You live, eat and breathe getting better. However, I have found that this constant talking about my illness to friends and family and how I was feeling 24/7, only actually makes the problem worse. You know how the law of attraction says “what you think about most you become”? Well, this is so true. Releasing the need to constantly talk about how you are feeling or your illness to others is a habit that only keeps you in that sick identity and in the problem. This has been such a hard one for me. There have been times when I start talking and I literally have to stop myself in my tracks. It’s like it just comes out like word vomit and I cannot stop it but I’m working to change this habit one day at a time. Another revelation I had in therapy was that I have to give up the need for sympathy. When you are ill you get a lot of attention, thus sympathy from family and friends. “Aw you poor thing” I would hear or “you just don’t deserve to suffer anymore” and subconsciously that would give me comfort and make me feel good. This habit is very dangerous because as soon as I missed the sympathy and I felt better, I created some drama or pain just to get the sympathy back I so missed. Very hard to admit but it’s true. I have to constantly remind myself that there is no need for sympathy as it does not serve my healing. When you have suffered for so long and experienced a lot of pain, your brain stores these memories in your mind, and it’s because of this that negative pattern that you now expect pain on a regular basis. What therapy has taught me is that this thinking process alone, by always predicting the worst-case scenario (that I will get a headache), has the ability to actually induce a headache through anxiety so it’s learning to look at the glass half full instead of half empty. A great way to do that is by saying to yourself “this is a different situation and I don’t have all the facts so I cannot predict the future”. It takes a lot of practice by nailing the art of reframing, however, it is still just a habit so can it be changed. Can you relate to any of these habits and do you think they could be keeping you sick? What habits could you let go of that don’t serve your healing? I would love to hear from you. Kristie- thank you, very good advice! 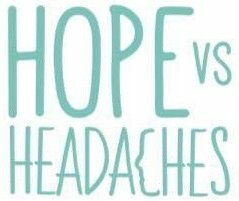 I have had a 24/7 headache/migraine for 6 years now. It was when I accepted my condition that I began to heal. I do have to remind myself not to speak of it also. thanks for the reminder! Hi Alexis, thank you for your comment. I am so sorry to hear that you have been suffering for so long. It breaks my heart. Have you found anything that has given you any relief? I’m glad this post helped you on your journey. Next Entry Could Your Subconscious​ Beliefs Be At The Route Of Your Anxiety And Or Pain?